On Christmas Eve, Klum posted a black and white photo of her hand, now sporting a big diamond ring, wrapped around the Tokio Hotel musician’s smiling face, alongside the caption: “I SAID YES.” Despite going up during prime holiday time, the post has already amassed over 350,000 likes, as well as congratulatory comments from the likes of Rita Ora, Naomi Campbell, and Yolanda Hadid. 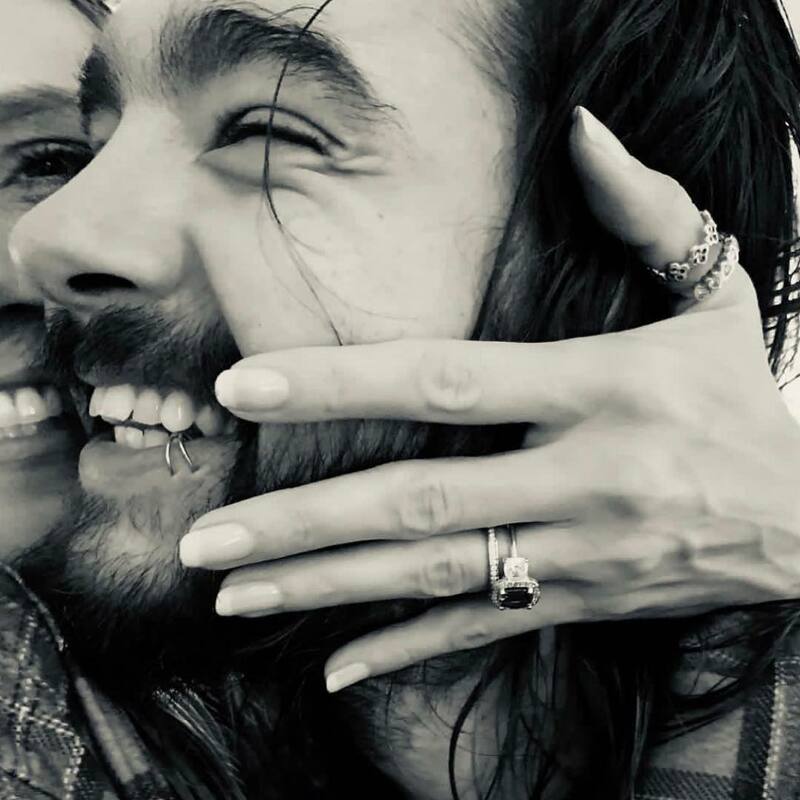 Klum, 45, and Kaulitz, 29, first started dating less than a year ago, when they were spotting kissing on the set of America’s Got Talent, according to People. The pair made their public debut as a couple just a few months later at the Cannes amfAR Gala. A source told People that the supermodel is “so in love” with the musician, so perhaps their engagement, despite the relative speediness, is not much of a surprise. This will be Klum’s third marriage; in 1997, she married stylist Ric Pipino, whom she later divorced in 2002. Famously, she was married to singer Seal from 2005 to 2014. Together, they share three children together, sons Henry Günther Ademola Dashtu Samuel and Johan Riley Fyodor Taiwo Samuel, and daughter Lou Sulola Samuel (Klum also has an older daughter from a previous relationship with Italian business man Flavio Briatore). Kaulitz, who is best known for his career with German rock band Tokio Hotel, has never been married before.